Posts from or about our Federal Government. From the NCC e-newsletter, unfortunately not anonymously available online (you’d be able to unsubscribe us). The National Capital Commission (NCC) would like to inform you about upcoming work to improve the Champlain Bridge parking lot area, which will begin this Thursday, December 13, 2018. From Jeff’s Kitchissippi Ward Newsletter #155, also see http://ncc-ccn.gc.ca/posts/temporary-closure-on-the-sjam-winter-trail-in-the-remic-rapids-parking-area-november-26-to-december-14 for details (closure likely on December 3, 4) and a map. As part of its invasive species management strategy and emerald ash borer management program, the National Capital Commission (NCC) will be working to remove invasive species in the Remic Rapids parking area. Dead trees and trees that pose a safety risk to the public or the work crew will also be removed. This work is being undertaken to prepare for the replanting of native trees and shrubs, which will take place in spring 2019. The work will be undertaken from November 26 to December 14, 2018, between 7 am and 5 pm, weather permitting. The parking lot will be closed to the public, but will reopen once the work is completed. For public safety, the winter trail will be temporarily closed for two days while wood chipping is being done. Signage will be installed to indicate that work is in progress, and workers will ensure the safety of pathway users close to the work area. Workers will be using mechanical equipment for this work. 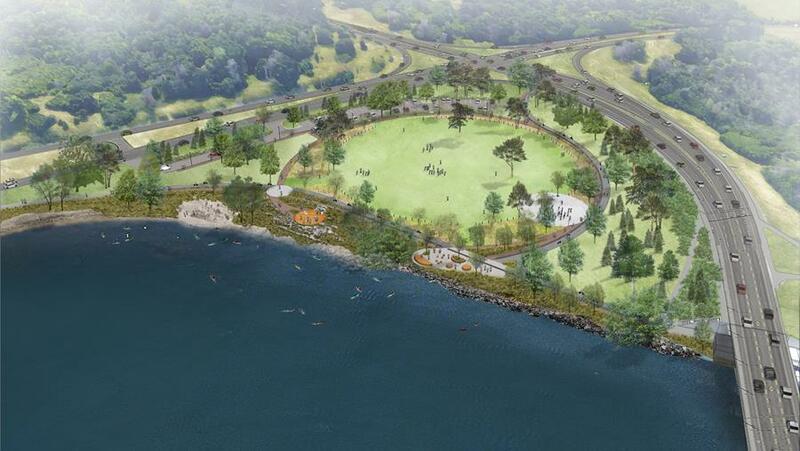 The NCC is asking for names for their newly planned riverside park. Currently it is known as the Ottawa River South Shore Riverfront Park, which is descriptive but not too catchy. A person of national stature who has made a substantial contribution to the building of Canada and its identity in the world, or to an aspect of Canadian culture worthy of special recognition. A place or event with a significant historical or cultural legacy in Canada. A local or regional figure who has contributed to the building of the Capital. By the way, Dan Wilcock volunteered at the last board meeting to represent our community on the NCC’s naming committee. Thanks Dan!